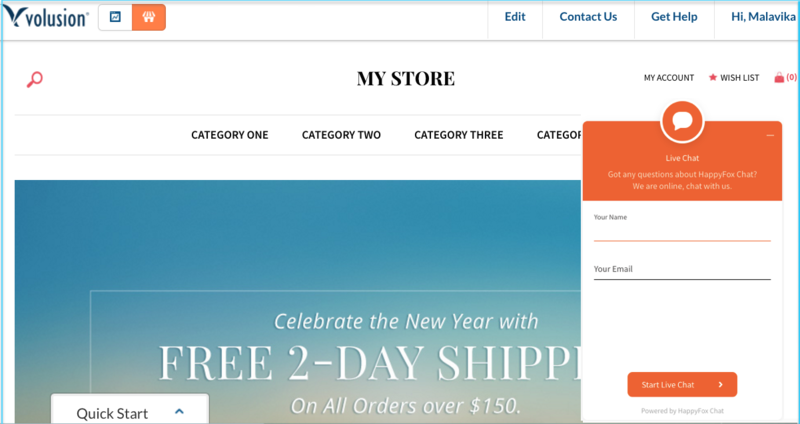 Step 1: Login to your Volusion site’s admin dashboard. 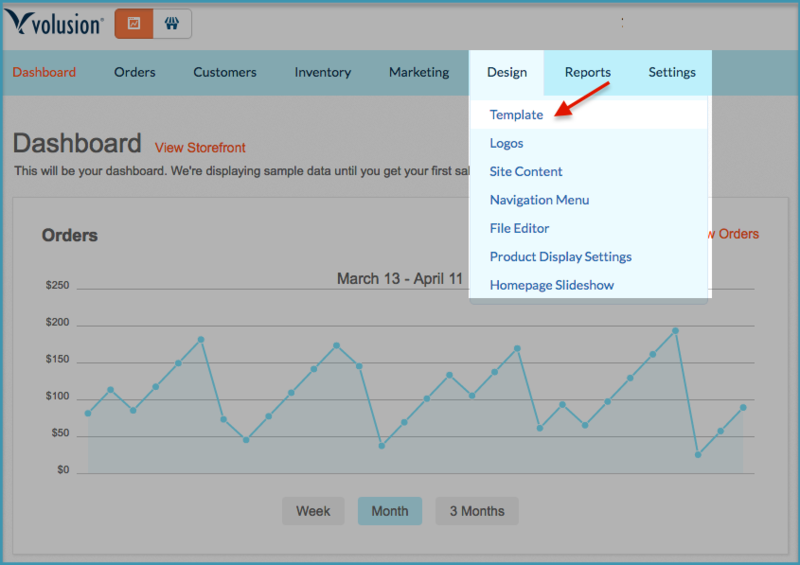 Step 2: Go to Design -> select Template from the drop down menu. 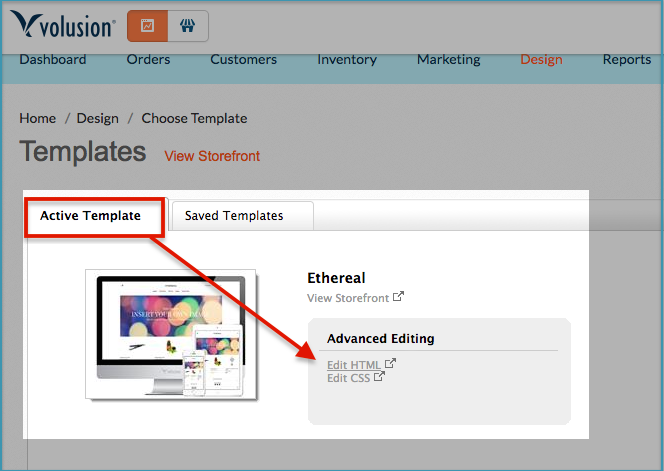 Step 3: Click on “Edit HTML” option under Active template. 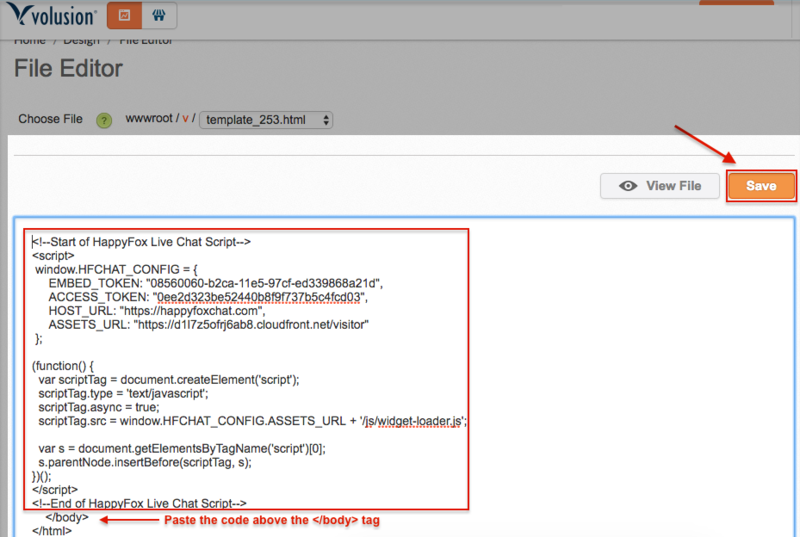 Step 4: Now, paste “HappyFox Chat Installation Code” just above the </body> tag and click “Save” button. Good job! You have now installed HappyFox Chat to your Volusion store, successfully.